but the Movie is in Widescreen format. "The entire world is a Graveyard"
In the Fall of 1982, Mankind died out... Leaving only 863 people alive in Antarctica. How could this have happened? 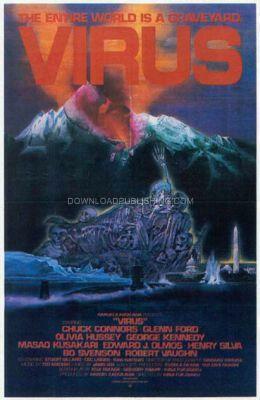 A Military Bio-warfare Virus is unleashed during a Plane crash and kills the Human Population except for a handful of Military and Scientists living in the Antartic. They are desperate to find a cure to save what is left of the Human Race. Movie was made for Japanese and American Audiences.